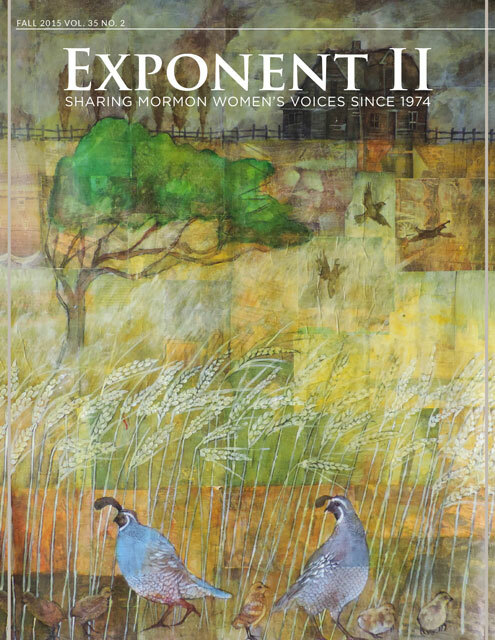 There are a few general recommendations all of us try to keep in mind as we prepare lesson plans for the Exponent blog, or for our own ward communities. Include quotes from women, both from within and without the church. 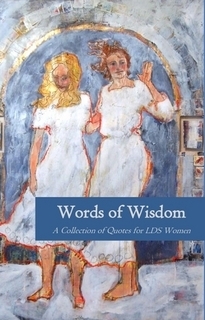 One of my favorite resources for finding quotes from female general leaders is WAVE’s Words of Wisdom: A Collection of Quotes for LDS Women. The Table of Contents is extremely helpful when looking for quotes on a specific topic, and the PDF is searchable as well, which makes looking for a specific word a dream. I have also had some luck searching on LDS.org, though recall it previously being simpler to find talks and articles just from female speakers. Sometimes I’ve tried to use words from the General Relief Society President serving alongside the current manual’s Church President. Other times I’ve tried to learn more about–and use the words of–the Church President’s wife. More often though, I rely on women like Chieko Okazaki, Elaine Jack, and Aileen Clyde. For incorporating thoughts and ideas from women outside of the church, I’ve drawn upon Mother Teresa and Malala Yousafzai, but there are so many other wise women to choose from. Add historical context. What else was going on when these words were spoken? Before I go further, I want to acknowledge that this topic can be sensitive. While we are all daughters of God and sisters in the gospel, we have different lived experiences. Some of us have never married, and never had children. Some of us have married, but now carry the load of parenthood by ourselves. Some of us are stepmothers. Some of us are adoptive or foster mothers. Some of us who do not have children, desperately wish to. Some of us who have children, at times desperately wish not to. Some of us are expectant mothers. Some of us are new, new mothers. Some of us are just pretty new. Some of us are seasoned. Some of us are empty nesters. Some of us are grandmothers. Some of us have difficult relationships with our own mothers. Some of us have no desire to be mothers. Some of us are mothers to everyone we meet. I honor these differences. My hope is that we can draw upon them, and speak honestly and openly from our own experiences, to better learn from each other, and increase in charity and understanding. Give a ‘feminist’ perspective on the lesson. This can be highlighting women’s presence and perspectives in the story or scriptures, or reading a text in a new way. It can also be creating a space for women to feel comfortable and safe speaking their own truths, and asking their big and small questions, always, always followed by an outpouring of support, understanding, and charity. It can be highlighting that even faithful women in the gospel have different lived experiences and paths, as I tried to do in my previous example, and what might work well for one, might not work well (or even be possible) for another. Offer a global perspective. This is a global church, after all, and our stories and voices should reflect that. Try hard to include words from saints in other parts of the world, whatever the topic. Does your own ward have sisters from different places, who may or may not speak different tongues? Mine does. We have a large number of sisters and brothers from South American countries, and a smaller (but still notable) number of sisters and brothers from the African continent. We have worked hard both to make sure that there are translation services available during our meetings, and that some of our teachers reflect the different languages. Sometimes the Spanish speaking sisters wear the headsets, but just as often, the English speaking sisters do. It has absolutely made our Relief Society better. Everyone’s voices and experiences deserve to be heard. Be mindful that different people in the audience will have different levels of orthodoxy. Expand the lesson, but in a way that a wide spectrum of sisters will be able to be fed. Relatedly, we don’t necessarily view lesson guides (or in person lessons) as the best place for challenging doctrine, but do feel like it is appropriate to say things like, “This part of the lesson was difficult for me…” I have a rule for myself when I teach, to only say things that I believe. In some lessons, this is very easy: I can express every idea and every quote. In other lessons, it is trickier. In the tricky ones, I try to find one idea or one quote that I can start with, and then I go from there. There are a few additional things that I keep in mind, personally, when I’m preparing lessons. One is my love and belief in Zion, and another is my love and belief in welcoming. For me the former entails striving to foster a unity allowing for diversity, and the latter reflects that I want everyone to feel like they belong, because they do, and because Jesus invited all people to come unto Him, and turned no one away. I think about what I can say and do to help build that kind of Zion space, where people can share a heart and mind, and feel the welcome that they deserve. Next I want to say a tiny bit about what mothering has looked like for me, before asking what motherhood has looked like for you, in all of your diverse, lived experiences. I want to do this, because motherhood doesn’t always look (or feel) very holy, and because I think it is important to share both sorrows and joys. On one hand, it looks like being really, really tired, and often lonely. When Cora was born, one of the things that surprised me was how lonely I felt, when I was never, ever alone. It looks like signing and saying, “Mama,” “milk,” “baby,” “more,” “please,” and “thank you.” It looks like explaining things simply and often. It looks like feeding and comforting Cora, even when I don’t want to (especially when I don’t want to, at strange hours in the night). It looks like pauses, while trying to take a shower, do the dishes, read a book, or write a paper. It looks like no longer sleeping or working on planes. It looks like turning around at a banquet to see that she took off both her dress and her diaper. It looks like raisins and chocolate chips spilled on the floor. It looks like (very) occasionally missing out on things that I would like to participate in. On the other hand, it frequently looks happy. It looks smile and laughter filled, because it is. It looks like a miracle, to watch a tiny baby grow into her body, and to watch her learn, how to smile, sit up, crawl, walk, run, dance, and speak. Every day she learns new words. (Two of her most recent are “Wittgenstein” and “dinosaurs.”) It looks like introducing her to delicious foods and experiences, and hearing her ask, “Chocolate? Chocolate?” It looks like walks to the ocean, and the most beautiful children’s books. It looks like exceptionally good eye contact, and the tenderest hugs. My best mothering experiences come when I am being most myself, rather than simply being swallowed up in my daughter. This doesn’t look like ignoring her or her needs, but simply including her in whatever I need to do. And for me, in my dual roles of mother and student, this looks like reading to her from my philosophy and theology books, and my philosophy and theology papers. (She and my father are my first readers/listeners, always.) It looks like taking her to two summer seminars and seven academic conferences. It looks like letting her press send on the email submitting Mormon Feminism to the publisher, because while she was too little to understand, we both made sacrifices to be able to send it. And then I did invite the other women to share what motherhood looked like for them, and they answered. They answered in the most beautiful, honest ways. It was holy. Really remarkable things happen when we try these approaches. I have experienced it. How have you tried to teach more inclusively? What are some of your favorite places for finding words from women? Etc.? We would love to have your knowledge added to ours. Thanks for this guide! I am not in a teaching calling but will keep that WAVE database in mind for future research! I love all this but want to second the idea of charity being essential–especially giving an outpouring of charity after someone has shared a particularly vulnerable/candid comment. Too many times I’ve heard or made a comment like that, but the teacher glosses over it just as they would a more perfunctory comment. Actually, I also really like the idea of saying “This part was difficult for me.” I agree that Sunday School/RS is not the place for doctrine-challenging but it can definitely be a place for owning/sharing our own challenges, and supporting each other in them. Great suggestions, Rachel. I especially like that you said when you’re teaching you have a rule for yourself to only say things you believe. Not feeling bound to a manual, or to share every quote, is freeing, and sharing what you really believe is where the power is. I love this, Rachel. You are so very right about bearing truth of things that you feel and believe. It can be so hard to teach lessons sometimes that just …. are complicated for us to teach based on experience, testimony or otherwise. I loved how you’ve directed us and am grateful for your contribution in this series! Plus….. I love your lesson plans! Thank you for sharing your gift with us! Great pointers, Rachel. I particularly appreciate the approach of citing women as authorities. It’s a great two-for-one: you emphasize or illustrate the topic of the lesson, and also deliver the metamessage that women are authorities and can say important things. So much church teaching runs against that message, so I appreciate it whenever someone pushes back by quoting more women.